*Termite inspection report includes a list of conducive conditions that should be rectified, as well as a run through after the inspection has been concluded on what issues have been identified and what action should be taken. ABC Pest Control performs and is qualified to do professional termite inspections Sydney. If your building has a history of termite infestation then late April to May is the time for termite inspections. Sydney is no different to any other major town or city in this regard when the heat rises, it’s time to take action. 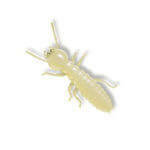 Termite treatment in advance is the most effective strategy there is for defeating termites in Sydney, and beyond. At ABC Pest Control, we have the best termite treatment Sydney has to offer, and with different packages available to match the size of your building, as well as the extent of your problem, we’re the leading providers of termite control. Sydney knows this and our loyal customers are the testament to our proven track record. If you have a serious termite issue or suspect your residence may be infested with termites act now and book. Check out our competitive packages. Prevention is the best cure, and at ABC we offer a 100% safety guarantee for your family and pets to ensure that they are not negatively affected as we perform our Sydney termite control to rid your residence of termites and other pests, which, if left unchecked, can lead to exorbitant, financially-crippling, long-term costs caused by the curse of the termite. 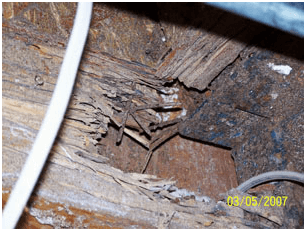 Sydney residences should have at least one termite inspection to ensure that there isn’t the seed of a problem developing that may lead to major issues later and threaten the integrity of the property. As we’ve already said, Sydney termite inspections are best performed in the spring as this is when the first seasonal manifestations start to take place. Our termite inspections cost Sydney residents prices starting from $220, but are charged depending on the magnitude of the situation. We’ve presently got a special offer on, in which you can save up to $400 for services (conditions apply), which eradicate using pest control on termites. Sydney is a truly magnificent city, Australasia’s gem, on that the world can agree, but it’s extremities of climate make it a hotbed for infestation in the warmer months. In the end, investing early in the remedy works our cheaper than the cure, so get in touch to find out more about an inspection cost. Sydney is covered, but you can see a map here of all the areas we service in NSW. Sydney termites are some of the virulent in the world, but with countless other critters running around, Sydney termite treatment is essential for properties with a history of infestation; however, there are many more creatures to be concerned about than just termites. Sydney carpet beetles can be just as hard to shift as any other insect, and the same is true of cockroaches, silverfish, and Spiders. However, you can rest assured as our Sydney termite treatment also covers these creepy crawlies too. 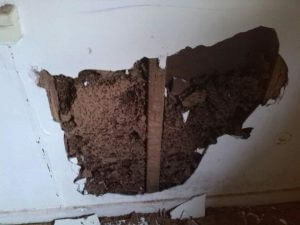 One round of Sydney termite treatment and you will be free from these pests and sleep better at night to boot. With a history of successful termite inspections, Sydney trusts us with its termite pest control and we are proud to offer our services to you. There are about 4000 species of termites and 10% of these are considered as pests, causing damage to buildings, crops, and forests. The termite season is usually late spring, late September to October, as this is the time when adult termites (alates or swarmers) leave old colonies to build new nests. They usually head towards sunlight or artificial light. Many die and are found on window sills or the floor near doors and windows. After swarming they spin around and break off their wings. Sometimes the swarming takes place for just one or two hours. If you are not at home when they swarm you may only find the “cast off” wings on a windowsill or floor below a window. 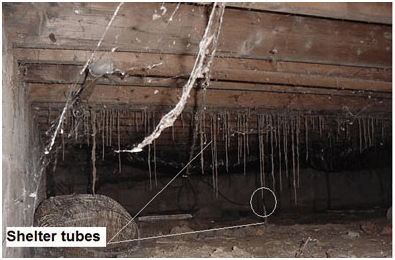 What attracts termites to your home….Food! A house that is over 25 years old is more likely to attract termites. A new house is less likely to attract termites but there is still a risk if it is built near an existing termite colony. In this picture look for two white, creamy coloured insects. They are “worker” termites. The workers do all the damage, eating the wood. They are very vulnerable with a soft exoskeleton. They avoid the light by building “tunnels” to travel inside of. A protozoan in their body digests the wood, they then return to their “colony” usually in the soil and excrete the digested wood for other termites in the colony to feed on. This is a soldier termite. His main job is to protect the workers and other termites from ants. The soldiers do not eat the wood. (they leave that up to the workers! ; in fact, they only eat wood that the workers have digested and passed on to them. Whenever a shelter tube is broken open it doesn’t take long for the soldiers to get to the opening to “defend” the workers. 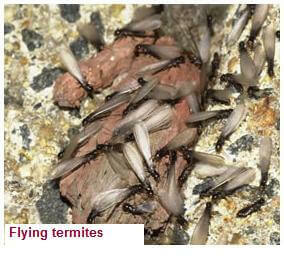 Signs of Termites – Termite InspectionAnyone is at risk of being invaded with termites in their home. Being aware of the early signs of termites may save your home from extensive damage. The first alert is the presence of flying termites and season. Keep an eye out for loose wings on the ground, bathtubs, vents, and sinks. You may notice sawdust from the areas where termites are building tunnels; or holes in the exposed wood. Keep in mind that termites work in the dark and are very hard to spot. Mud tubes are pieces of earth and wood stuck together with a glue-like secretion. They are the termite’s highways. The worker termites build these to avoid exposure to the light and for protection from ants. The shelter tubes vary in size and length. They are generally about 1/4 inch in diameter and can be several feet long. 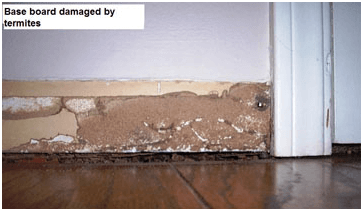 Termite inspection and Prevention Sydney – Termite infestations are not always easily recognised. This requires time and careful inspections of your home or area at risk. If you just got rid of a colony, you need to have more frequent inspections – probably at least once every three months and then annual inspections once you’ve been termite free for at least a year. If you know your neighbour has termites, it would be a good idea to have bait set out and have it checked every few months. Where possible, don’t allow wood within 45 cm of the soil. 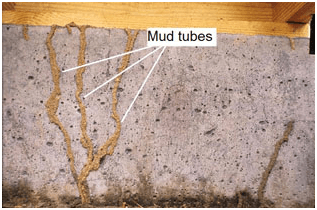 Mud tubes act as protective connections between the underground colony and your house, the food source. If the colony is active, they’ll be built back up again. This is a hardwood beam in the garage. Notice how they eat the wood in layers. They eat the “soft” grain of wood that grows in the springtime. 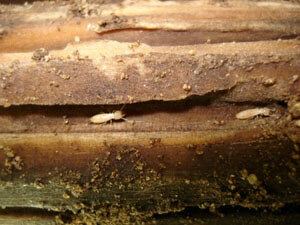 Termites will eat just about any kind of wood, hard or soft, and most wood byproducts and other cellulose materials. A dark or blistered area in your wood flooring that can be easily scratched with a kitchen knife is another sign termites. If you knock on the wood, you’ll hear an answering tapping that means the termite soldiers are alerting the others to danger by banging their heads on the walls. If you have found the termites in your home, there are simple strategies to maintain. Call for a professional pest control inspector to manage the problem. Treating termite infestation requires in-depth knowledge of building construction and termite behaviour. Because potential termite entry points are hidden behind walls or under floors, a careful examination and treatment by a Termite Inspection professional may be necessary. Effective prevention of any problem depends on eliminating the root causes. In the case of termites, that means a multi-pronged approach toward sealing off the potential access points that these pests can use to enter and severely damage your property. Less-effective approaches to treatment may deter the invaders that are already there, but they are unlikely to prevent the next generation of pests from picking up where the current ones left off. 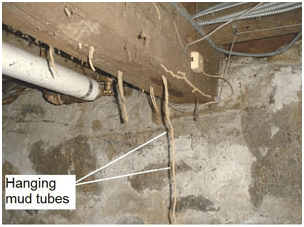 Termites can get to your home through a number of difficult-to-reach access points, and while there, they may go undetected for long periods of time, doing significant structural damage that can cause load-bearing sections to disintegrate from within. Although they typically feast on wood, they by no means restrict themselves to it and have been known to attack other sources of nutrients. 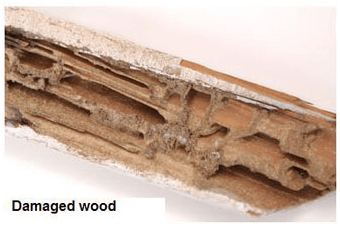 Their ubiquity, flexibility, and perseverance make termites perhaps the largest environmental risk of all, as far as homes are concerned – and the damage they cause is typically uncovered by home insurance. True protection from this menace depends on early discovery, and ABC Pest Control Sydney offers comprehensive termite inspection throughout the greater Sydney area. Fully 1/3 of all homes in Australia have been – or currently are – affected by termites. Don’t wait to take action until it’s too late. For a truly long-lasting solution, you’ll need to protect your home with both physical and chemical barriers that remain active for decades. This comprehensive approach features an intricate underground waterproof barrier surrounding your home, physically preventing termites from breaching your home’s physical defences. When installed by the professionals at ABC Pest Control, this barrier provides a formidable and long-lasting home defence system.An additional and complementary approach is also taken through the termite reticulation process. A network of pipes is installed underground in the soil surrounding the home, and these pipes use a multitude of tiny holes to release a faint but effective cocktail of termite-repellent chemicals into the soil that are perfectly safe for people, animals, plants and the wider environment, but deadly for termites that try to pass through the area to access your home.The ideal time to make these installations is during the construction of the home, but the result can certainly be achieved even if the process begins long after the home has been built. In the latter case, a crucial step is letting ABC Pest Control Sydney proceed with a thorough termite inspection beforehand, to ensure that the reticulation system traps te termites outside the home rather than inside.Whether effective installation occurs during home construction or long afterwards, the resulting benefit to your home is enormous. The reticulation process enables matching physical and the chemical barriers which combine beautifully to block all openings for termites to access your home. Best of all: once installed, this method of protection will work its magic, without fail, for decades. The use of chemicals in the reticulation process means that the system needs to be maintained by refilling it every 3-5 years. ABC Pest Control Sydney can provide these refills at an affordable cost. Our refills can be applied quickly and without any inconvenience, meaning that your initial investment in the termite reticulation process continues to pay dividends for generations, in terms of the savings it brings in overall time, money, effort, and – of course – prevention of termite-induced structural damage.At the same time, physical barriers also need to be maintained. Soil erodes and is compacted over the years, leaving a gap known as soil subsidence between the home and the waterproof barrier. This gap must be filled in with special materials at similar intervals, a process which strengthens the natural foundation on which your home rests. At ABC Pest Control Sydney, we can handle every aspect of termite reticulation refill and maintenance in the greater Sydney area, letting you enjoy the comforts and benefits of an easy and long-lasting victory over these environmental dangers. Utilising a network of underground pipes, ABC Pest Control’s expert technicians can install a reticulation system that allows for the reinstatement of a chemical barrier around the foundations of your Sydney property that will ensure your complete and continuous protection from termites. The reticulation system and the precise application of chemicals by our highly skilled pest control experts, ensures protection against extremely costly termite invasions. This system when maintained correctly, totally prevents the termites from entering the house as they normally would. It is essential that the chemical levels within the reticulation are refilled every three years to provide the maximum level of protection for your property. ABC Pest Control Sydney is one of the few companies that are in a position to offer a complete range of termite protection solutions. We are able to provide you with the Term X Replenishment System, which is a very common choice for our clients. This termite reticulation system comes with a PVC flexible chemical hose. The advantage with this system is that it can deliver termiticides to the full under a slab of brand new buildings or be utilized as a perimeter barrier on existing domestic or commercial properties. The TermX replenishment system creates only minimal disruption to the external soil, it takes little time to install and can be up and running in next to no time. The chemical treatments can be carried out without risk to the surrounding areas environment. The environment is important to most people these days and as such using this product, you can have the peace of mind in knowing that chemicals used are not going to drift and have any negative effect on your surroundings. Term X can be relied upon because it has the capacity to contain the chemicals used only into the required areas and provide the termite protection that our Sydney customers need. Being fully Australian owned and operated and through living in Sydney which is such a high-risk area when it comes to termites, our pest controllers have a huge wealth of experience when it comes to protecting our customers from termites. We have over 25 years’ experience in all aspects of termite inspections, treatment, and management. You can rely on us for fast and efficient action combined with safe and responsible solutions that meet all customers’ unique and individual requirements. Termites will do their best to avoid this repellent chemical but should they inadvertently walk into this chemical it will kill them instantly. Biflex is manufactured by a company named FMC who provide Eflex which is a million dollar timber replacement warranty for the termite barriers constructed with the Biflex chemical. 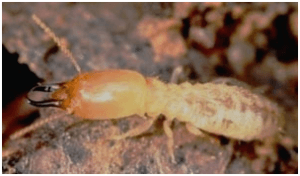 The subterranean termite is repelled or killed by the ultra-low odour chemical which makes it the ideal solution for long-term pre-construction and post-construction control and protection against termites. This is a non-staining, almost odourless, non–sensitizing and non–allergenic product. It is ideal when taking into consideration user and client comfort without sacrificing efficiency or longevity. Abc Pest Control Sydney are able to install your barrier, and can also help with your warranty. A full Termite Inspection of your property should be carried out every 12months to maintain your warranty. At ABC Pest Control Sydney, we know that owning a home or building comes with many headaches and inconveniences – but a healthy dose of preparation can alleviate or eliminate many of them. From termite inspections across the Sydney area to termite reticulation and refills, all the way to the cutting-edge Homeguard construction process, ABC can help you manage and mitigate the risk of termites damaging your property. A little bit of foresight and prevention goes a long way in the world, particularly when you have a leading team of experts by your side. 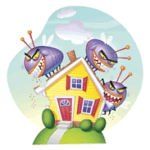 Keep your structural foundation solid and secure by protecting it from these persistent armies of small invaders. 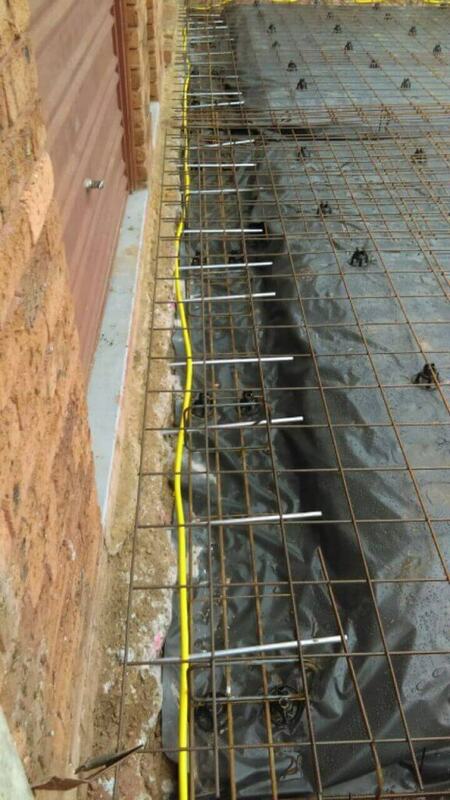 One decisive installation of termite reticulation or the Homeguard system, plus periodic inspections and refills, can end your worries once and for all. As a homeowner, advanced protection is one of the best investments you can make. It’s never too late to protect your home. Call us now or fill out the form on this site, and put us to work for you today. Termite defense has been honed to perfection in the advanced and comprehensive Homeguard system, which works differently than traditional termite reticulation. Homeguard brings together all the essential elements of termite home defense, but it does so at the foundational level of the property, during and within the initial home construction process itself. Homeguard uses a highly effective chemical called Bifenthrin, which is sealed within the structural elements of the home. It is perfectly safe for healthy living, while its active ingredient works as a powerful repellent for termites. It has also been entirely designed and manufactured within Australia, so it is well adapted to local conditions and its customers support the Australian economy. Designed by FMC Corporation, Homeguard is so effective that it comes with a 25-year warranty that protects your home for up to $1 million in termite damages. The warranty is active on the condition that Homeguard is installed by an officially accredited Homeguard operator – such as ABC Pest Control Sydney – and that the property is also inspected annually by an accredited team.